Dell Technologies’ audiences and solutions run the gamut, from IT clients and consumers to servers and storage, and beyond. 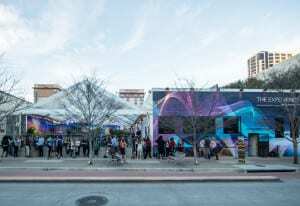 For its six-day event program at SXSW in Austin, March 10-15, the brand focused on its creative audience with a program that aligned with each phase of the festivals, including film, music, technology and innovation, and gaming. 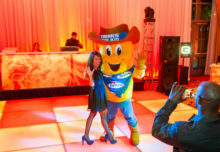 The Experience by Dell Technologies took place in an 8,000-square-foot Austin event venue The Sunset Room, located across the street from the Austin Convention Center. 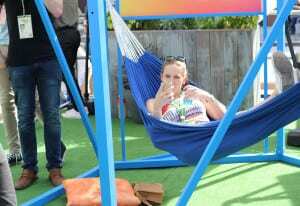 It marked the second year that Dell has activated The Experience, offering interactive demos, performances, chill spaces and a rotating lineup of events and speakers with content broadcasted live. “When we look at Southby, we know it’s not an IT audience, we think of it as a creator’s audience, people who are disruptors in their industries, and we think about the stories that we have to share in relation to what those folks care about,” says Lindsay Tolles, global experiential program manager at Dell Technologies. This included small business entrepreneurs and startups, for whom the brand devoted an entire day with a creator’s market and showcase for partners to share their stories and how Dell supports them. One such partner included Kendra Scott, an Austin-based jewelry maker and philanthropist who built a billion-dollar business and highlighted the Dell tools she uses to create. Scott headlined a rose gold-themed happy hour inspired by the sleek XPS line of Dell products, an event that focused on female entrepreneurs and influencers. There, Dell launched its Austin chapter of Dell Women’s Entrepreneur Network (DWEN), an organization for women in business, and hosted a panel on the intersection of design and technology featuring women who are at the forefront of their industries. The panel included a Dell color scientist, a retail and fashion forecaster, a fashion blogger and a business owner. 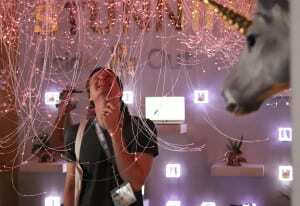 To highlight its commitment to sustainability, Dell included an exhibit devoted to e-cycling and a new jewelry line made from gold reclaimed from motherboards. It helped tell the story of the benefits of the circular economy and how Dell initiatives are helping eliminate the need for virgin gold mining. The jewelry line was created in partnership with actress Nikki Reed. There was also a photo booth where attendees could pose in front of recycled motherboards and devices, and share it online or print out a copy. There were also water stations within the space for reusable vessels. Dell ditched plastic materials used for serving food and drinks in favor of recycled or sustainable materials. The Experience featured a host of interactives for attendees, too, including an immersive dj VR experience powered by Dell Alienware based on a new title Electronauts from Survios, where users put on a VR headset, become the “dj” and create music in a virtual setting. A large surround screen allowed spectators to watch what was happening in the virtual experience. 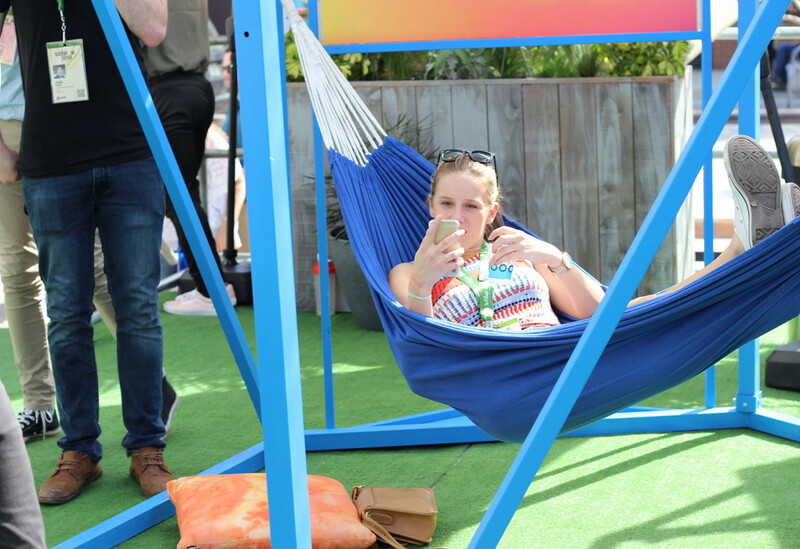 Over in a lounge area, attendees could climb into a hammock, put on a pair of VR Dell Visors, and find their happy place, like relaxing on a virtual beach, to take a break from the SXSW action. 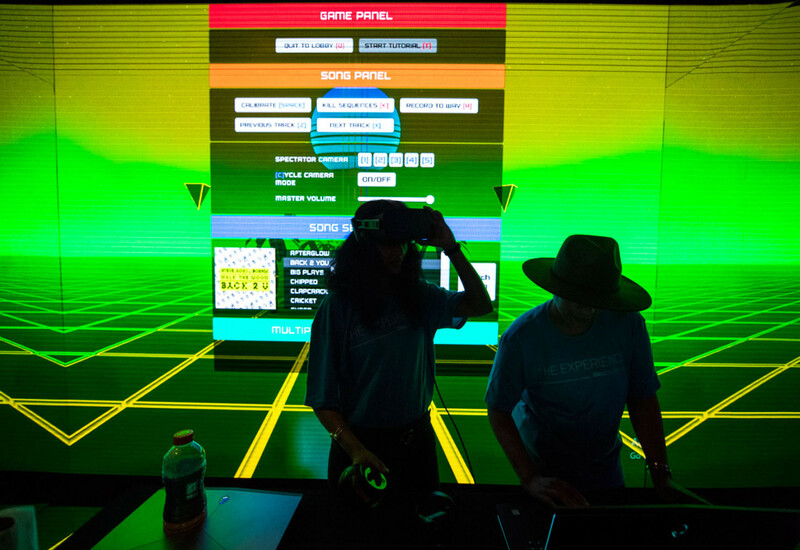 Other interactive features included a gaming trailer and a robot bartender who served drinks on event nights, and helped tell a story about the partnerships between humans and machines, one of Dell’s overarching themes. 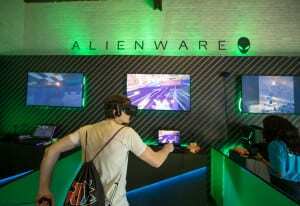 Speaking of gaming, as Dell has more than a 20-year legacy in PC gaming, the brand hosted a Dell Gaming Day tournament. There were VR and gaming demos set up for the event and the brand hosted a panel that brought together all aspects of Southby from film, music, technology to gaming. Dell invited The Glitch Mob, who use Dell Alienware for their music and performances—they’re also big gamers—to perform live to wrap up Dell’s programming at SXSW. 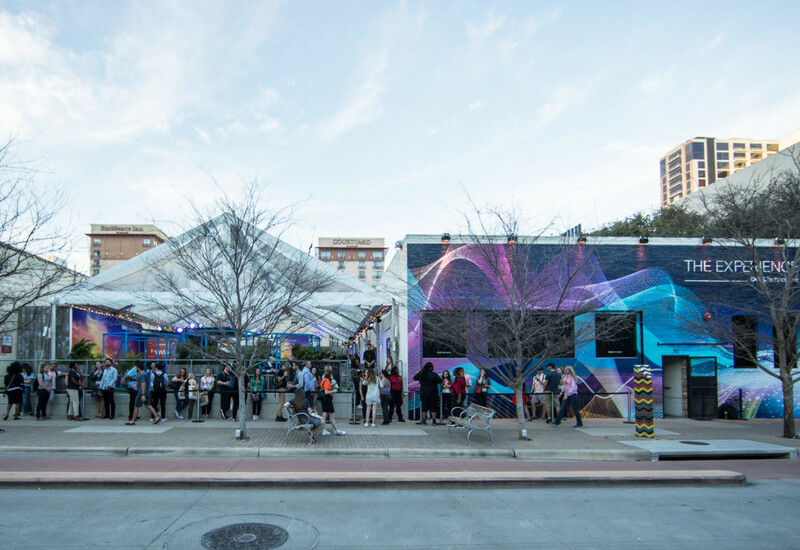 With all of the content within The Experience, Dell made sure it was accessible for audiences beyond SXSW. 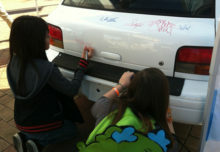 Its broadcast initiative on-site was extensive. 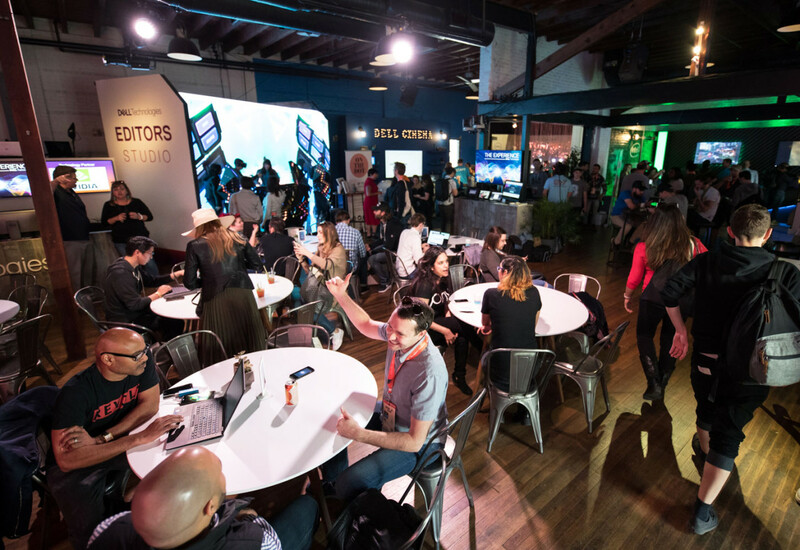 Whether it was panels, fireside chats or pitch competitions, or one-on-ones with executives between programs, Dell live-streamed it all on its SXSW microsite. Dell’s tv team was on-site the entire festival, capturing content, conducting real-time editing and extending the reach of the content for those off-site but also those at the festival who may have missed some of the content and wanted to join in those conversations. Post event, all of the content was available on the microsite to view, replay and share. “That’s a big goal of ours to do things that are meaningful for the attendees and create conversations and an inviting environment that will leave a lasting impression on attendees, and something more than a band and some free drinks,” Tolles says. “It was something they can kind of remember and think of Dell in a variety of ways in our space.” Agency: Lacy Maxwell Experiential, San Francisco.